General TV Channel / TVSelangor is a TV Channel owned by the State Government of Selangor, Malaysia. It began operation in 2008. 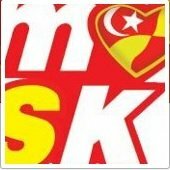 TVSelangor was formed by the State Government because the Federal Government would not allow them to use Federal Government TV channels to deliver information or news about the state government of Selangor to the people. Because the channel does not have a license from the Federal government to broadcast terrestrial or satellite TV, TVSelangor is currently only available via the internet at Selangorku website. The main broadcast language is Bahasa Melayu and the channel features a variety of programme's including talkshows, short dramas, news, and documentaries. It is viewable 24 hours a day.